All mums would like their children to be sorted with regards to independency / job security, once they leave school. The world of work has changed extensively over the last couple of years. It’s definitely not a given that our children will find a job when they acquire their degree, much less when they leave Grade 12. Especially in South Africa, that has a youth unemployment rate of 50%. Therefore it’s of great importance in today’s world, to teach our children entrepreneurship. There’s never been a more important time than now to encourage entrepreneurial thinking in our youth and to create awareness of entrepreneurship as a very attractive career choice. Children are born imaginative and willing to take on new challenges. Research has shown that this innovative spirit of children declines dramatically over time and will be almost non-existent by the time they finish school. Kids exposed to entrepreneurship frequently express that they have more opportunity to exercise creative freedom and initiative, have higher self-esteem, and an overall greater sense of control over their own lives. Entrepreneurship education teaches skills that are essential in the 21st century job market! 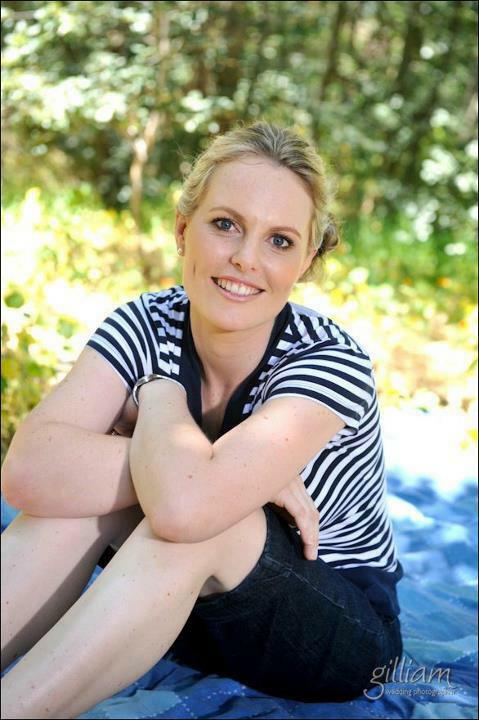 Pauline is a MomPreneur in every sense of the word – the mother of 2 lovely daughters (6 and 4 years old), wife to a very supportive hubby and owner of two businesses. 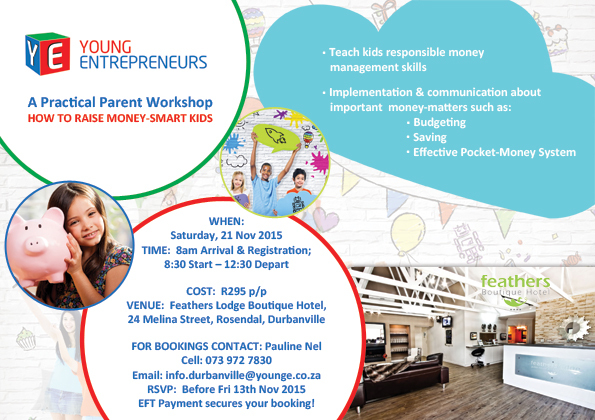 For residents of the Durbanville area in South Africa, Pauline will be facilitating a Practical Parent workshop on how to raise money- smart kids on the 21’st of November 2015. See ad below for more details!